I was originally just going to make this for Irish, but I thought that might be a bit rude now that we're all sharing a forum, so I'll put up links for Irish and if anyone posts links to other Celtic language learning sites I'll copy them to this first post. I think this first one is particularly good. It's a very in-depth course that's very heavy on grammar. Excellent for proper language nerds. http://glg.csisdmz.ul.ie/index.php?find=Irish - Irish Dictionary site. The website layout is pretty awful, but there a lot of headwords, and the information is pretty good if you can look past the aesthetics. nighean-neonach wrote: http://taic.me.uk/taic.htm - This is quite a comprehensive online course, rather traditional and grammar based in its approach, and with sound files for all the words and sentences. It is provided by a native Gaelic speaker, as far as I know. http://www.bbc.co.uk/scotland/alba/fogh ... ndex.shtml - This is another online course, provided by the Gaelic BBC. Compared to TAIC it presents more of a conversational approach, with lots of useful everyday dialogues, including sound files as well. These two online courses will give you a good start, whether you just want to get a first impression of the language, or whether you can't afford any textbooks yet. Try out the rest of the BBC site as well. Click on "Èist beò" in the upper right hand corner to get to the online radio programme. For in-depth information on Gaelic phonology see here http://www.akerbeltz.org/ - this site is a real treasure trove, with very detailed explanations and lots of sound files for all the of the Gaelic language. The site is maintained by a German linguist with expert knowledge on Gaelic. There used to be a nice international Gaelic forum on the web as well, but it's been down for a while. If you need an online dictionary, the best one is http://smo.uhi.ac.uk/gaidhlig/faclair/sbg/lorg.php - but one of the biggest mistakes you can make as a beginner is typing some stuff in there and translating your ideas word by word into Gaelic. Do try and learn some basics first, and make sure you know a bit about Gaelic sentence structures and some fundamental rules like initial sound mutations, etc. In case you have any questions, feel free to ask here on the forum. ffrench wrote: I thought I had found http://learngaelic.net/ on UniLang, but it certainly deserves a place on the list. The videos help a lot with pronunciation and the setups are cute to watch and all. For new learners, An Gàradh aig Sìne is a nicely done English-Gàidhlig animated online e-book that is a good way to learn and re-inforce those first bits of Gàidhlig. 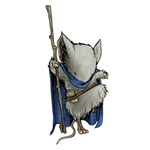 Akerbeltz has moved to a new wiki-style site. Pretty much everything that was on the old site is up there now. There's also info and links for LibreOffice, Firefox. Skype and other software in Gàidhlig in the iGàidhlig section. I highly recommend any committed learner of Gàidhlig to buy akerbeltz/Michael Bauer's book Blas na Gàidhlig about Gàidhlig pronunciation, and you can get the free, downloadable supplemental materials for the book, including audio files and pronunciation guides, here. Guthan nan Eilean is a superb set of series of free videos, with both wordlinked texts and downloadable Word docs, about the communities of the Western Isles, created for learners of Gaelic and English. An Sgeulachd Ghoirid is a site that has short stories in Gàidhlig available both in audio and text. Great resource since most of these stories are long out of print. Additionally they have videos of Gàidhlig speakers talking about the stories for extra listening practice. 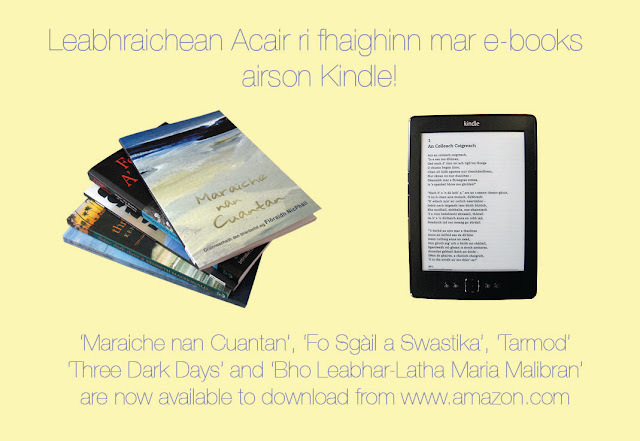 Stòrlann Nàiseanta na Gàidhlig has three e-books available for free download--Mar a Chuala Mise e, Fo Bhruid, and Ailig Aurora. I've read Ailig Aurora and it's incomplete, but it's still a worthwhile resource. My study partner and I are currently reading Fo Bhruid. Additonally they have chapter-by-chapter audio recordings of Fo Bhruid, which is the more advanced of the three books and is a modernized retelling of Robert Louis Stevenson's Kidnapped. Another online dictionary: Am Faclair Beag is what the earlier Dwelly-D (Electronic Dwelly's) has evolved into--it's all the Dwelly's entries plus additions. An Seotal is a terminology database. It's a work in progress, and additions are always being made, but a lot of technical words that aren't found in regular dictionaries can be found there. it's mostly aimed at topics that pertain to secondary (high school) level education, so to promote Gàidhlig-medium education in Scotland, but it's useful for learners too. And lastly, an old archive of Colin Mark's Gaelic Tip of the Week. Also, for iPod/iPod Touch/iPad users, there's a free app called "Learn Manx" that is a really well put together app. Say Something in Welsh - This site is excellent, particularly if you're not someone who learns languages through visual methods. Although you won't learn how to write for a while, this course allows you to achieve oral ability really quickly. However, by using this link to get there, you sign an agreement that you'll still come back to UniLang. the BBC site includes a dictionary, a reasonably solid basic grammar reference, a decent mutation checker and lots of games and other resources. An online Welsh course, which is basic but will teach you comprehensive basic skills. The BBC dictionary, as mentioned before. Thanks! I added your links to the first post, and I added some for Manx and Breton, as well as a few more for Irish. ceid donn wrote: Akerbeltz has moved to a new wiki-style site. Pretty much everything that was on the old site is up there now. There's also info and links for LibreOffice, Firefox. Skype and other software in Gàidhlig in the iGàidhlig section. I was instantly wondering why the site has a Basque name. Oh and yes, Akerbeltz is not a Gaelic word. It's Basque actually and means "the black goat", the name of an old Basque deity, the protector of the land and the beasts. When the head of Akerbeltz began to use the name, he used it mainly on internet chatrooms since there were way too many Michaels around usually. But somehow the name stuck, even outside the chatrooms and when a name was needed for the resource site, Akerbeltz was the first that sprang to mind. By now, it's so established as a brand name that it would be hard to change. Mystical are the ways of the web indeed! Last edited by ceid donn on 2013-11-12, 19:27, edited 1 time in total. Alluns was asking about other correspondence courses besides KDL for Cornish, namely for Irish or Gaelic, so you know any please post links. They also have a little bit of grammar too. Many of the books they have listed I have not been able to find (especially beyond the beginner level--they're OOP and used copies are just not anywhere or way overpriced) or only available in France, so getting one of the books for this course might be challenging for some people. Last edited by ceid donn on 2013-11-12, 19:28, edited 1 time in total. [flag=]br[/flag] There is a new magazine aimed at A2-B2 Brezhoneg learners and I just purchased a subscription: #brezhoneg. I'm praying they will deliver to the US--if they don't I will update with that info. ceid donn wrote: [flag=]br[/flag] There is a new magazine aimed at A2-B2 Brezhoneg learners and I just purchased a subscription: #brezhoneg. I'm praying they will deliver to the US--if they don't I will update with that info. It's very nice, although it did take a month to get here (the postmark is Nov 18, just days after I paid for it). It has comic strips, interviews & articles with vocabulary lists, bits on grammar, and a quiz. Everything is marked A1, A2, B1 or B2 so you know how difficult it will be, and easier stuff cmes with French parallel texts (no English). It's only about 23 pgs but it's crammed with stuff. Next issue, the March/April one, is due out in early March. I can say for ~US$40 for 6 issues that I'd recommend it (assuming future issues will be of the same quality), especially since learning materials outside of France for anything past A1 level are so hard to come by. In a related note, Cothrom, the last remaining (IIRC) Gàidhlig learners' magazine still in circulation, is ending. I've never seen a copy myself, because getting anything from Scotland when you're in the US is so expensive and iffy. But it's unfortuante that there's one less resource out there and also because they had just launched an audio component with the issues. Something with funding problems, I suspect. As with everything Gàidhlig. I was able to download the MP3s by right-clicking on the play-back widget and then clicking on "Save audio as..." (in Chrome). Hopefully more will come, agus tuilleadh anns a' Ghàidhlig a-mhàin! [flag=]gd[/flag] Memrise vocabulary lessons for Tim Armstrong's Air Cuan Dubh Drilseach. Don't know if this would interest anyone here, but someone went to the trouble of making these. Pretty cool of them. As a beginner, I have found the phrase of the day (Frása an Lae) playlist on this YouTube channel to be helpful. Wow, good find! Looks comprehensive! It starts from the very beginning and, unlike many other online resources, follows a common thread. Each lesson is a very small step and you've got the audio and a transcript, so you can easily do one lesson a day. I like it a lot, because I'm an extremely auditive learning type and for me it's great to hear the vocabulary and conversations, I can even remember some of the explanations of the grammar better when I listened to them while reading the transcript.